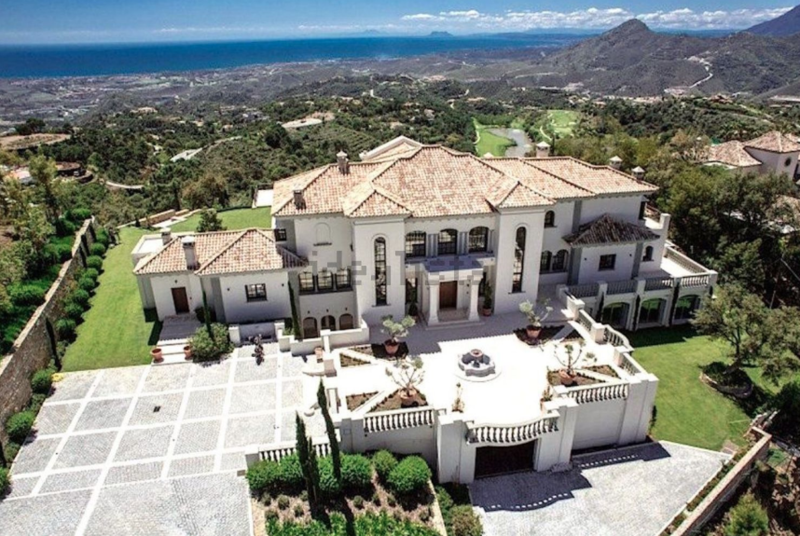 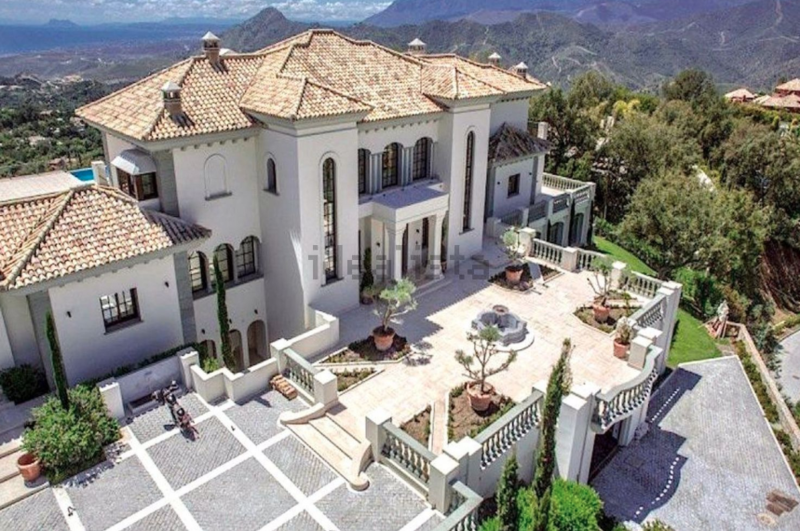 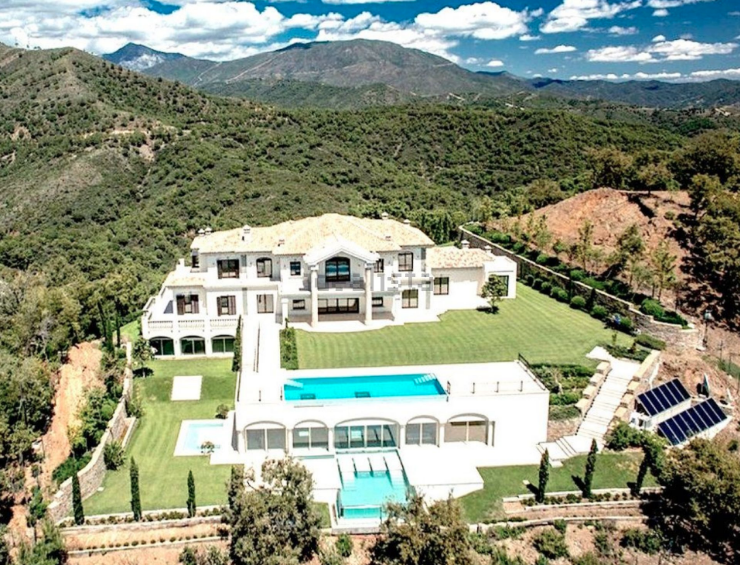 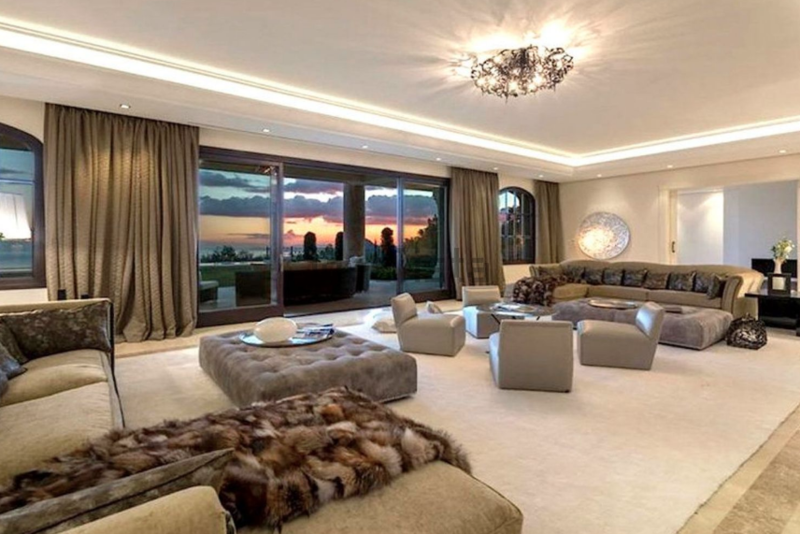 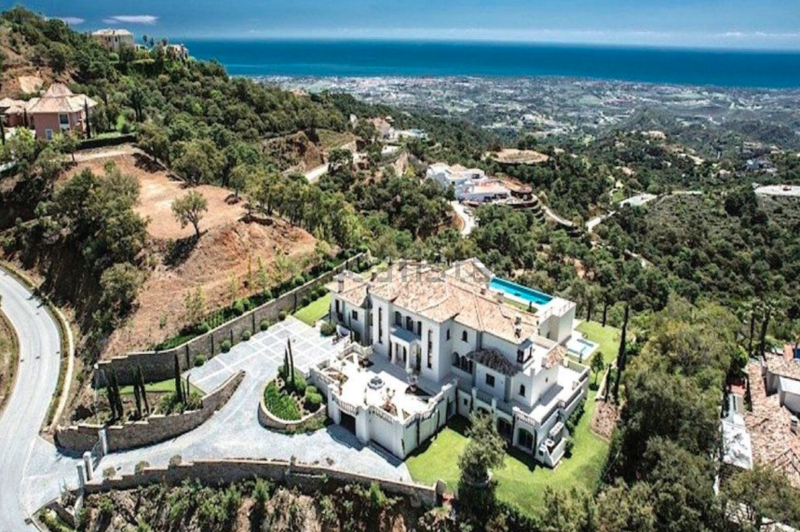 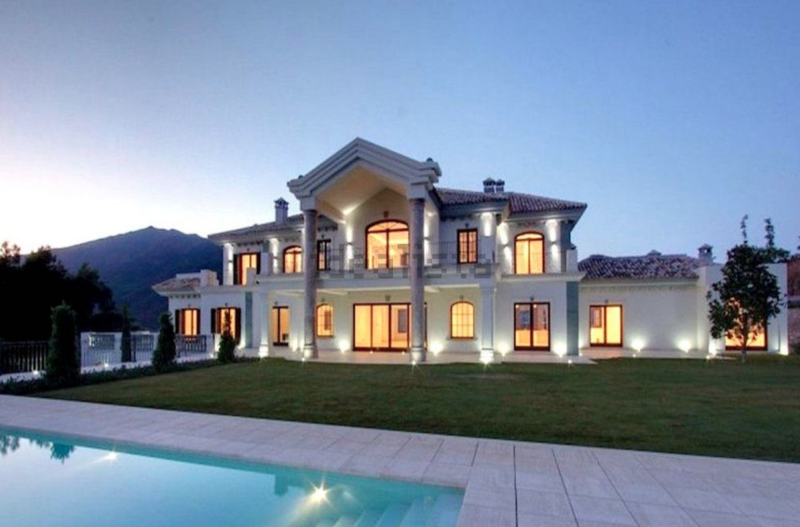 This hilltop villa is located in Marbella, Spain and is situated on 1.1 acres of land. 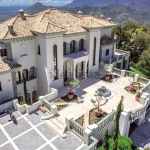 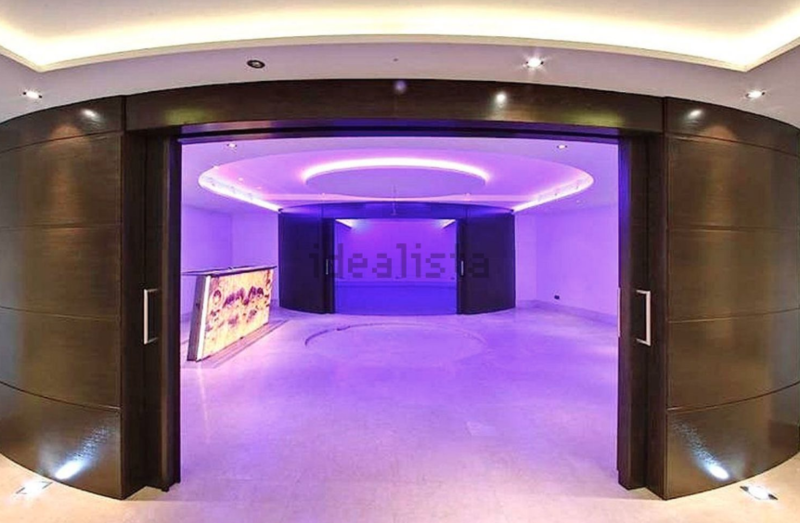 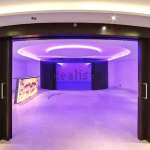 It features approximately 20,000 square feet of living space with 9 bedrooms, 10 bathrooms, foyer with staircase, formal living & dining rooms, gourmet kitchen, disco with wet bar, wine cellar, home theater, turkish bath, indoor pool, 6-car subterranean garage and more. 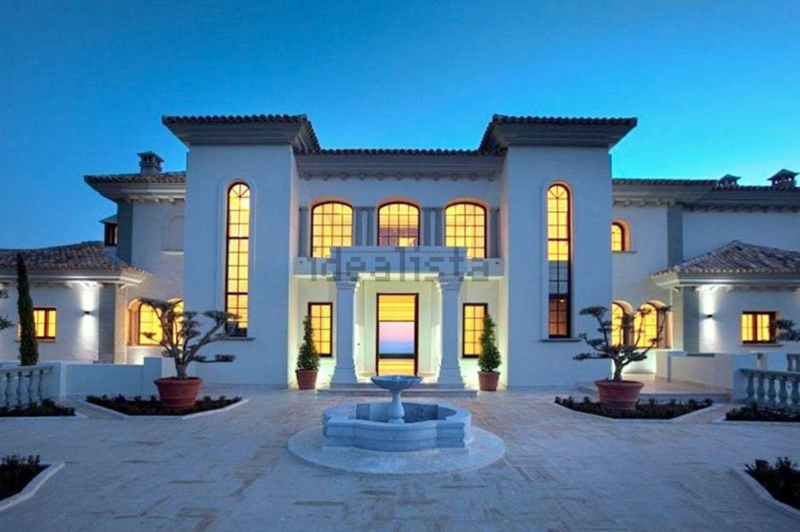 Outdoor features include a gated entrance, courtyard with fountain, terraces and 2 pools. 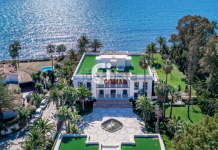 It is listed at €8,500,000.